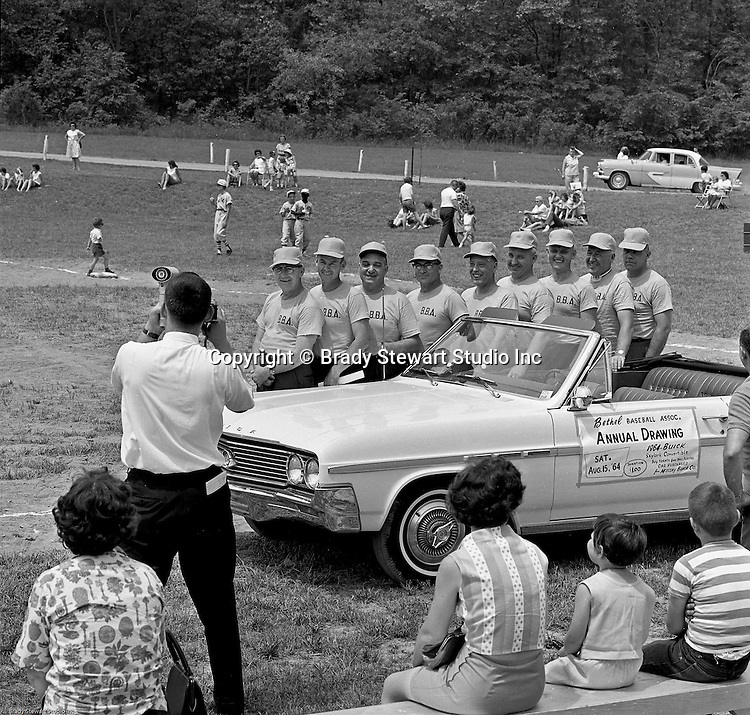 Bethel Park PA: Members of the BBA posing next to a car during the annual parade for the Bethel Baseball Association - 1964. The BBA was very successful in teaching the young boys how to play baseball the right way. The proof was that Bethel Park High School Baseball teams were some of the most successful in WPIAL history. Photo taken at the Bethel Park High School baseball field before the annual drawing of a new buick. men posing for a photograph next to a convertible.